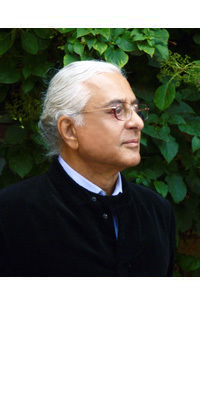 Naghi Naghashian was born in Teheran. After completing his school education in Iran, he studied illustration and book design at the Hochschule für Gestaltung (HfG), an academy of design, in Offenbach, Germany. Thereafter he was engaged as art director at various advertising agencies in Germany, Switzerland and England. He also worked as a freelance graphic designer with focus on illustration and brand designing for leading producers of brand articles in Europe and for broadcasting stations in Germany and other European countries. In addition, he was occupied with theoretical work in the field of color and research in the passive perception of color and “after image” phenomena. He carried out an analysis of the letters of the Arabic alphabet and a definition of their structure, enabling him to design a number of modern types of Arabic script. Naghi Naghashian then went on to create the Arian font family in 2009 and Aban font family, Jasna font family, Anahita Headline font, Avesta Extra Bold Condensed, Ahoura font family, BiBi Font family, Decora one, Decora Two, Bamdad Extra Bold Condensed, Parsi font family and Parto font family in 2010 to 2012. The publication of the illustrated quatrains of Omar Khayyam is his most recent project. He devoted five years of intensive and creative study to produce the book. Copyright 2012© Naghi Naghashian, All rights reserved.